Ecuador Hop welcomes passengers from every corner of the world. We're popular with visitors from Canada, Germany, USA, China, Brazil, South Korea, France, Australia and many, many more! 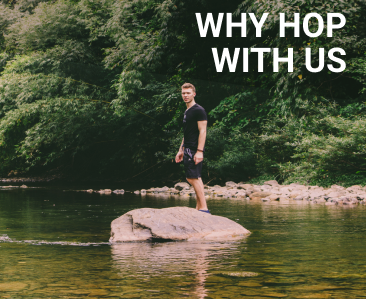 In some other countries, the hop on hop off concept is primarily associated with younger backpackers, but we pride ourselves on creating an environment that is enjoyed by all age groups. The average age of our passengers is between 25-35 years old, but we've also hosted many families as well as older people in their 70s or 80s. Often our older passengers appreciate the youthful energy that our younger passengers bring, while the younger passengers appreciate the life experience and knowledge of the older passengers. 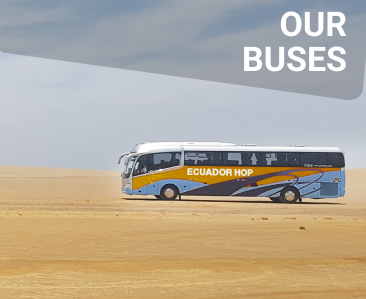 Below you can read about some of the types of passengers you'll find onboard our buses and why Ecuador Hop is a good choice for all types of travelers. The flexible nature of our passes makes them ideal for backpackers. Most backpackers enjoy traveling without fixed itineraries or plans, and the hop on hop off concept is absolutely perfect for this style of travel. 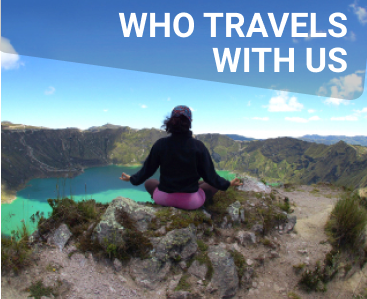 Not only is Ecuador Hop a comfortable and safe way to travel, but you'll also be totally in control of your own journey. You decide for yourself where to go, what to do and how long to stay. 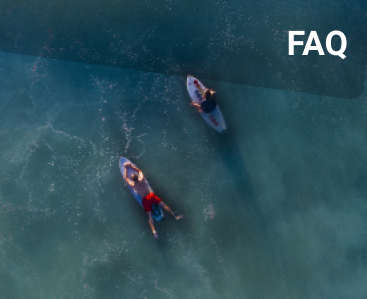 Once you arrive at each destination, you'll also enjoy exclusive discounts on hostels, making it super easy to make the most of your money on a backpacker's budget. Ecuador Hop is a favorite choice among solo travelers (especially female) due to our unbeatable safety record. 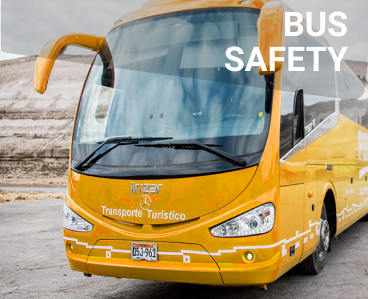 There are no unsafe taxis or dangerous bus stations to worry about when you ride our buses. The friendly atmosphere on Ecuador Hop buses is also a perfect opportunity for meeting other travelers. Many of our passengers make new friends onboard and end up continuing their travels together in Peru or Colombia. Ecuador Hop offers amazing discounts on private rooms in hostels and hotels at every destination. Most agencies receive commission for booking rooms, but we refuse this commission and use it as a discount for you instead! That means you'll get the best rooms at the best prices--one more benefit of hopping with us! Our buses are popular with visitors of all ages, including older travelers, who love to take advantage of our guides' insightful knowledge of local culture. We can assist with arranging all kinds of tours, as well as offering advice on restaurants and hotels for all budgets. It can be stressful to travel with a family and be responsible for organizing everything, especially in a non-English speaking country. Ecuador Hop takes all the stress away so you can enjoy a safe and comfortable vacation with your family. 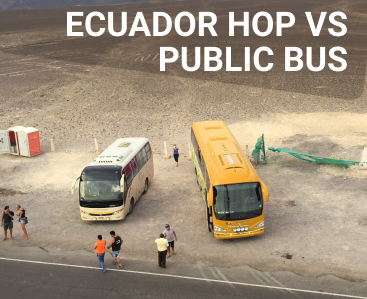 As you can see, Ecuador Hop is the perfect way to travel in Ecuador and is open to all ages and all budgets. Remember that you can stay wherever you want and however long you want, it just depends on your personal preference and time restraints. We are simply here to assist with everything and ensure you have a safe and enjoyable trip!